264 pages | 40 B/W Illus. 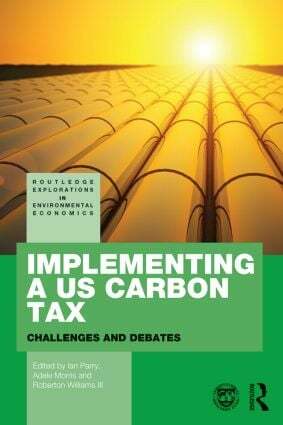 Adele Morris is a fellow and policy director for Climate and Energy Economics at the Brookings Institution. Roberton C. Williams III is a Professor in the Department of Agricultural and Resource Economics at the University of Maryland, Senior Fellow and Director of Academic Programs at Resources for the Future, and a Research Associate of the National Bureau of Economic Research.